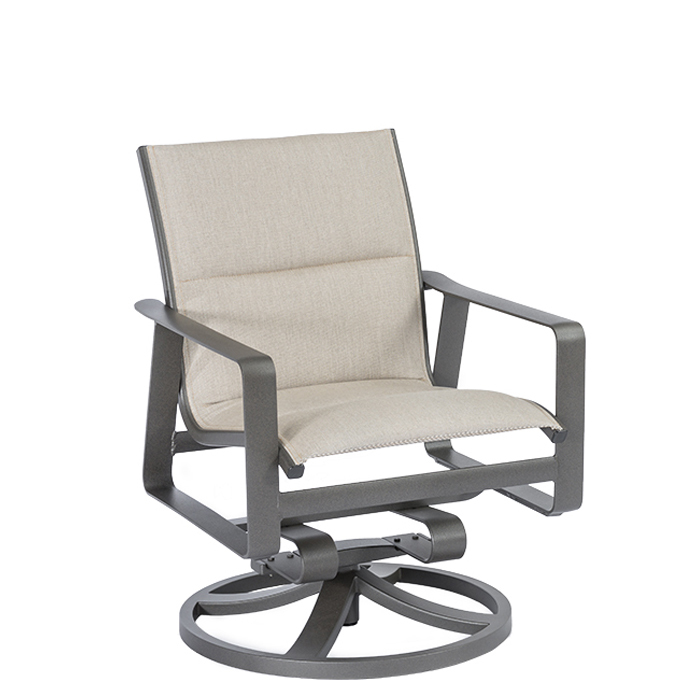 Samba Padded Sling Swivel Rocker was created to encourage a more inviting setting. Inspired by midcentury design, this passed collection features subtle crescent shapes for a soft appearance and a two-inch-wide armrest for complete comfort and support. Padded Sling materials protect against harsh climates and rigorous use allowing for a pristine finish year-round.